I've got a couple of cards for the SU Only Challenge here. The challenge over at SUO is "Banners". Banners are everywhere at the moment and so common I wondered what to do for this challenge. 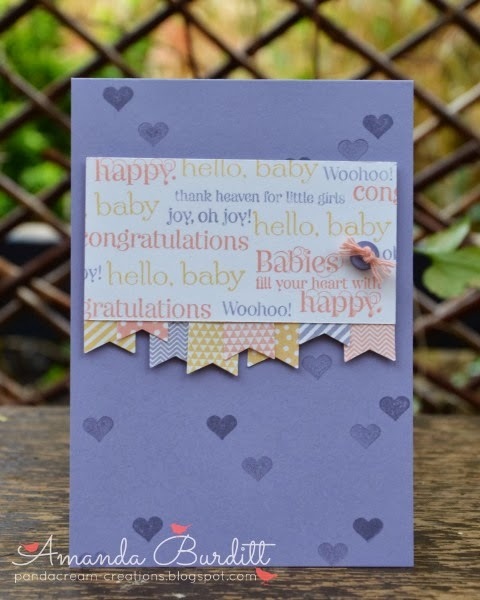 This is kind of a similar card to another baby card I showed you all last week but its got a bit more stamping and is very fun! I thought it'd be fun to use the sentiments from the Cuddles and Kisses and the Sweet Essentials sets to make my own DSP. The stamp-a-ma-jig was a total must here to get everything just in the right place. 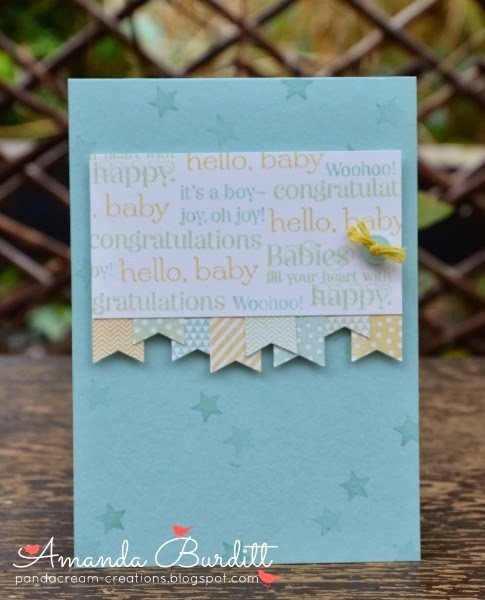 This is a very neat way to use all your sentiments in a fun way - it makes the sentiment the focal point of the card rather than being tagged on! The hearts are stamped twice to get the different shades which adds some depth to the card. The banners are at different lengths and layered up to add some interest to the strip. The button and twine are the perfect simple little embellishment. Instead of hearts for the boy card I thought stars were a more suitable alternative! Hope you enjoyed this card - girl and boy versions. 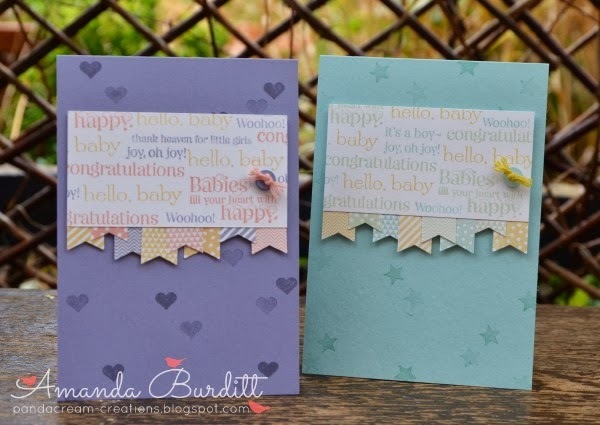 I am definitely getting well stocked up on new baby cards for all my friends that are having babies at the moment! I love how your handmade background has that subway art feel that is so popular right now!! This is a wonderful card and your banners look great too! So sweet...love the words made into background DSP...great idea! Great card. Thanks for playing along with the SUO Challenge this week! LOVE all the words and the little banners! What a great baby banner card! Thanks for joining the SUO challenge!